This past Saturday, the Women’s Fellowship of our church held its annual Spring Tea. The hosts this year were yours truly and my pal, Brenda, who came down with food poisoning the morning of the event and couldn’t join us, so I was on my own. The great thing, though, is that I wasn’t really on my own because I had so many wonderful women to help me! 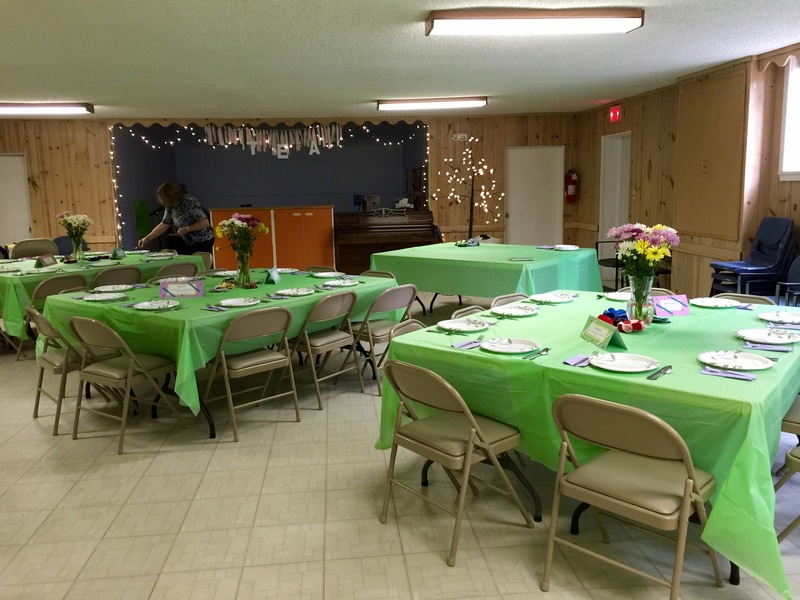 Fellowship Hall, decorated and ready for the crowd to arrive!